This lovely wooden board is hand painted pink with pale spots and has two metal brackets with pink rope attached for hanging on a wall or door. 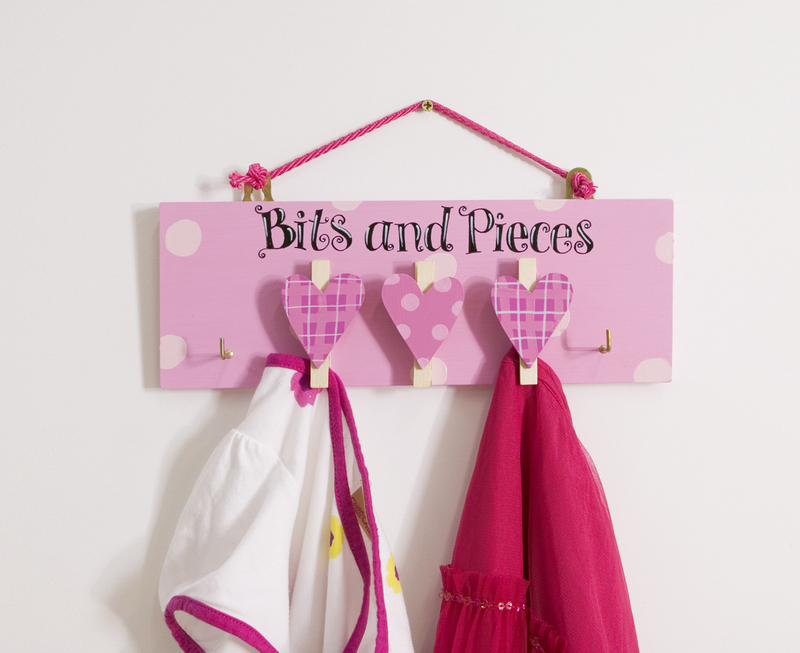 The front of the board has two metal hooks and three pegs decorated with pink hearts, for hanging clothes and other items off the floor. 'Bits and Pieces' is written across the top in black letters.